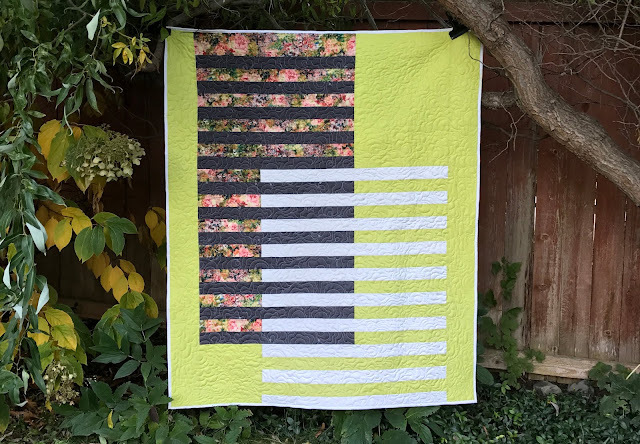 The Ladders quilt is a beginner level pattern featuring a modern color palette and minimalist design. The layering of colors adds depth to the quilt, while the negative space is a great opportunity to let your quilting creativity shine. This design will look great in solids, prints or a mix of both. The Ladders quilt pattern is now available for purchase on Craftsy.com !! The jumping off point for this design was my Urban Trek quilt. I took one element, interlocking stripes, from the Urban Trek quilt and expanded it into a lap size or large wall hanging quilt. 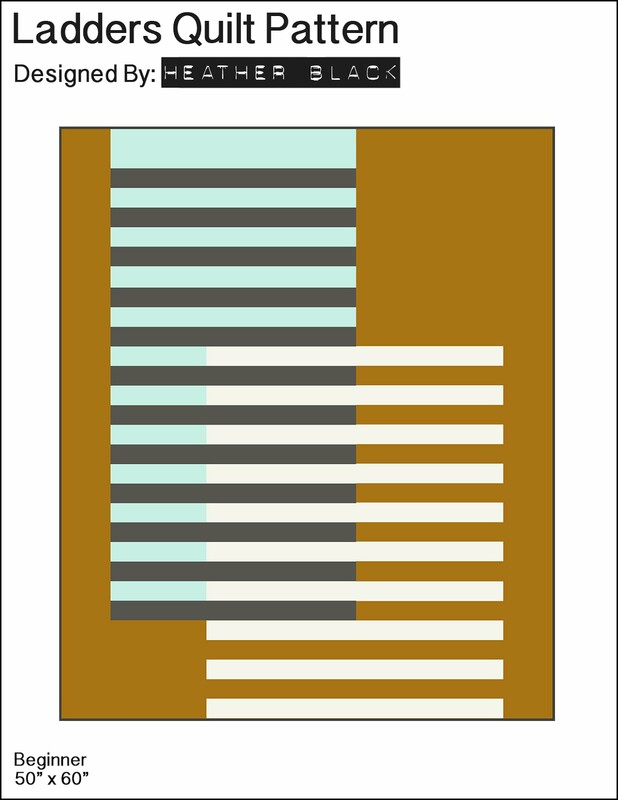 This is a great quilt for those looking for a quick easy modern project and because there are only four colors in the color palette it's easily customized. I'd love to see what people come up with so if you make this quilt don't forget to post it online and use the hashtag, #laddersquilt or tag me in the post, @quiltachusetts. I hope you enjoy my very first free pattern offering and thank you for reading! Thanks Mickey! I think I'll whip out a quilt top this week. I do love this modern design! I'd like to whittle it down to a table runner size...it's now on my list! Thank you for offering the pattern! I'm glad you like it and it should be pretty easy to make as a table runner. I'm glad you found the pattern after the 25th of August the pattern will be offered for $7.50. Thank you so much for sharing this pattern with us. Love the design! You're welcome. I hope you enjoy making it.